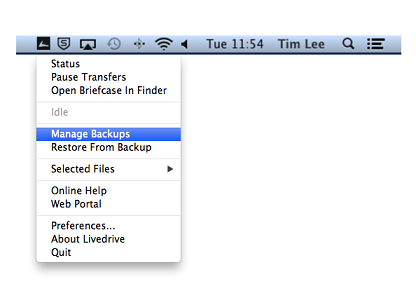 With Livedrive Backup, Pro Suite or Business accounts, you can backup your external USB hard drives. Backups are not to be used for archiving. You must at all times hold an original copy of the data in the original location, on the system it was backed up from. If you delete files from your computer that have been backed up, we will remove the corresponding backup from our servers. As Backup is a mirrored copy of the files/folders you select, you must ensure that the device is attached to your computer when running Livedrive. If the device is disconnected whilst Livedrive is running, then the previously uploaded files will be marked for deletion on your web portal. Please note: We do not support the backup of removable or portable media (e.g. pen drives, CDs, DVDs, flash drives, mobile devices, iPods, etc) due to the way the Operating Systems categorises the devices. Whereas external HDs are read by the OS as local hard drives and therefore these can be backed up with the Livedrive software. That’s it! 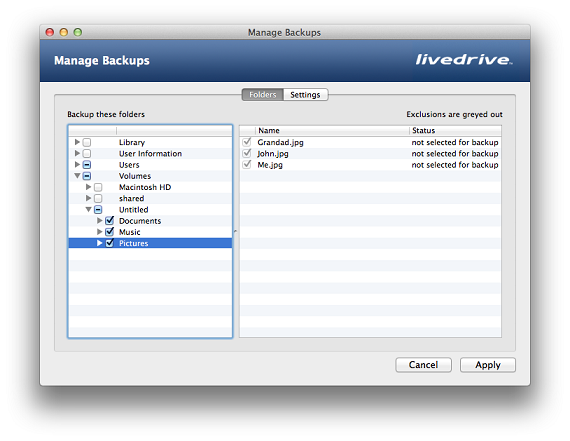 Livedrive will now start backing up your external HD. Your web portal will display the backup as a folder within your backup set.